These Forgefix Pozidriv Machine Screws are designed for use with nuts or pre-tapped holes. They are Zinc plated for increased corrosion resistance. Their Pan Head with a flat under head surface makes the screws ideal to lay flat on sheet material of all types, thus reducing deformation. Ideal for use in many DIY, ironmongery, electrical and plumbing applications. 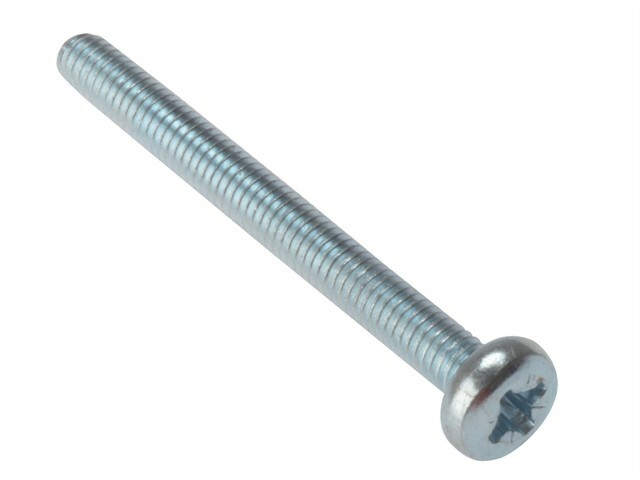 A Machine screw is generally a smaller fastener, threaded the entire length of its shank that usually has a recessed drive type (Slotted, Phillips, etc. ).